Cruel Gardénia was created by perfumer Randa Hammami of Symrise, and I appreciate the difficulty of the task. Consider the fact that not a single fragrance on the market named Gardenia actually smells like the flower in nature. Chanel Gardénia is really a jasmine. Floris Gardenia is an indistinct white floral. 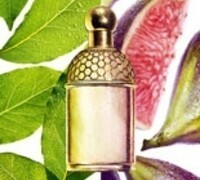 Annick Goutal Gardenia Passion is a green tuberose. Tom Ford Velvet Gardenia is dominated by tuberose as well, but on the blotter and for the first hour on the skin, it is the truest gardenia encountered in perfume. While Cruel Gardénia does not live up to its name, it is a well-done floral with a beautiful natural effect of a creamy flower. The musky backdrop captures that elusive shower clean freshness, the scent of skin that still carries the scent of soap and talcum powder. I can see a glimpse of apple blossom in the floral accord, whereas the heady glamour of gardenia continues to elude me. It is pretty and demure, a vision in pink cashmere and pearls. I admit that it is lovely and comforting, but perhaps the main problem is that I do not find Cruel Gardénia to be particularly memorable. It is so unobtrusive that I forget about its presence. Cruel Gardénia includes notes of damask rose, peach, neroli, violet, ylang ylang, white musks, tonka bean, vanilla and sandalwood. Available from Guerlain boutiques and Bergdorf Goodman. violetnoir: I agree. It’s a soft, lovely, barely memorable floral musk. Well done with a modern elegant edge, but I don’t think I would purchase a whole bottle of it. I have a general white floral question. Magnolia and seringa sometimes apppear among flowers listed as “white” and sometimes not. I`m not sure what to make out of that. Setinga is a species of lilac, AFAIK. Does lilac count among white florals, too? As for magnolia, I have little experience with this note, so I don`t know if it generally has typical white floral qualities. Sveta: I’m only starting to collect perfume so I am new to this. I have L’Artisan La Chasse Aux Papillon, Nina, Chloe, Yves Rocher Lilas and some testers of Russian perfumes. I try to sample a lot for now. I think that I like flowers, fruit notes, nothing with too many woods. I also like sweet perfumes, but my boyfriend doesn’t like when I wear anything sweet. k-amber: Victoria, thank you for your message. I replied but did not work again. I also like to send you an interview, a pod casting that JCE talks about his new scent. Mimi: I’ve lurked on this lovely blog for a long time but felt tempted to respond today as I so want to try this one but unfortunately live far from a Guerlain boutique…I felt my heart sink reading the first paragraph! Being a white flower fan this has been one of my biggest lemmings since I first read about it on here. So disappointed to hear it seems to be a misnomer. I have been struck by how many ostensibly gardenia scents are anything but – Chanel Gardenia contains a great deal of tuberose, to my nose, and I agree with the others you mentioned. Tarn: Ah well, another gardenia which isn’t, really… But it sounds pleasant enough for me to try out, if the local department store has it. Thanks for the review. Shelley: Back to lilac (syringa NOT seringa)…the plot thickens…because the “philadelphus”, what you say in the Ukraine is called jasmine, is commonly called “mock orange” here in the US. Kind of comes full circle, no? Boisdejasmin: B, love your questions like this. 🙂 In some ways, white florals is a poor descriptor, because it means so many things to so many people. In general, flowers with indolic notes are included in the list as well as flowers in jasmine family (olfactively speaking, of course, not botanically). These flowers, besides jasmine, are orange blossom, tuberose, ylang ylang, frangipani, gardenia–very lush, heady and rich. Magnolia is heavily indolic, so it is a contender, but it also depends on how it is rendered. Seringa (or seringat) is not related to lilac, although the confusion might spring, because syringa is the Latin name for lilac. Seringa/seringat (Philadelphus) is a type of flower that has a strong orange blossom-jasmine scent. In Ukraine, it is the plant we would call jasmine. Boisdejasmin: Shelley, you are right about mock orange. I completely forgot about that name. Makes sense, as it is such a beautiful blend of orange blossom (Concord grape part) and jasmine (heady, fruity, animalic). When I worked in Warsaw a couple of years ago, I used to buy small bouquets of it for my hotel room. The memories that this scent brings are just wonderful. 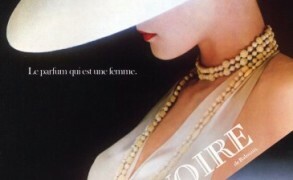 Madelyn E: Dear Victoria, Your lovely review has beckoned me to the Guerlain to buy Cruel Gardenia . I find it missing the gardenia – but whatever it has that tuberose topnote -I love it . Just as Guerlain Spirituese Double Vanille was my winter signature =I feel that this one Cruel Gardenia Will be my Spring- Summer favorite. Creamy , soothing , with a spike of tuberose to heighten my senses-is what comes to mind.